Paul Beatty is an Accessibility Specialist in the Board's Office of Technical and Information Services (OTIS). 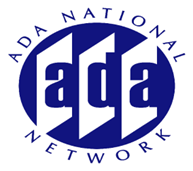 His primary duties are to provide assistance to Federal, state, and local governments and private sector entities regarding the requirements of the Architectural Barriers Act (ABA) of 1968 and the Americans with Disabilities Act (ADA) of 1990. Paul also participates in the staff group developing a final rule on recreation guidelines and the staff group reviewing ADAAG revision proposals. From 1998 - 2000, he was the Designated Federal Official for the Passenger Vessel Access Advisory Committee. Prior to joining OTIS, he served as a Compliance Specialist in the Access Board's Office of Compliance and Enforcement, where he investigated and resolved cases involving potential and identified violations of the ABA. Beatty has also been employed as a Quality Assurance Specialist for the Department of Defense, and served in the Navy (both active duty and reserve). He holds a BA degree in Business Administration from Covenant College and a BS in Computer and Information Science from the University of Maryland, University College.